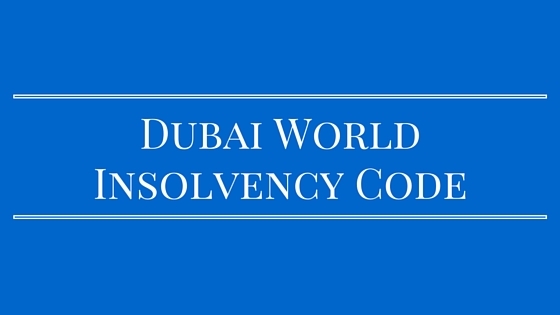 Only a few hours’ later the Dubai Government announced the implementation of an insolvency code, Decree No.57 for 2009 (the “Code“), created specifically for Nakheel’s ultimate parent Dubai World and its group companies. This Code is largely based on Dubai International Financial Centre’s insolvency laws with some amendments specific to Dubai World. There was certainly some uncertainty surrounding the ability of the existing UAE insolvency laws to handle a case like that of Dubai World. The issues relating to Dubai World were enormous in scope and unique. The debt to be dealt with, even by the standards of the past 14 months, was significant. There was the issue of whether or not existing UAE law would in fact apply to Dubai World – the parent in the group – at all, it having been formed not under the Federal commercial laws but by Ruler’s Decree. Also here was a situation where there where multiple classes of stakeholders – sukuk holders, shareholders, institutional and other lenders, foreign and domestic, and a host of trade creditors – which might not receive adequate protection or might not receive the same within a reasonable time frame given the limitations of the existing law. Finally there was the perceived need expressed in the international community (and press) for steps to be taken quickly – given the sheer size and global importance of Dubai World and the potential impact of its outright failure. But the need for speed had to be tempered with the need for the international community to see that any process put in place was based on international standards for transparency and protection of creditors’ interests. The Code is stated to apply only to Dubai World and its group companies. It does not apply to any other companies in Dubai or the UAE nor to individuals. Under Article 3 the Tribunal constituted under the Code is charged with hearing any demand or claim submitted against Dubai World or its subsidiaries, inclusive of any demand to dissolve or liquidate any group member as well as to adjudicate disputes against any person related to settlement of financial obligations of the group, its Chairman or Board of Directors as well as the employees of the group. The Code also grants the Tribunal the power to issue interim and interlocutory orders and relief, inclusive of injunctions. 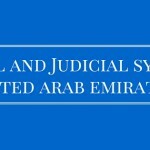 Significantly, by virtue of Article 9 the Dubai Courts are prohibited outright from hearing or determining any demand, claim or other matter which is within the jurisdiction of the Tribunal under the Code. The Code then effectively replaces the UAE Commercial Law, Federal Law No. 18 of 1993 and its attendant bankruptcy provisions; the UAE Commercial Company Law, Federal Law No. 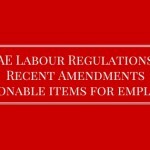 8 of 1984 (as amended) and its otherwise applicable liquidation provisions; and presumably given the application of the Tribunal’s jurisdiction to employees, the UAE Labour Law (Federal Law No 8 of 1980 (as amended) with the authority of the Tribunal. All of these laws are however Federal Laws. While the law might clearly apply to a decree company like Dubai World, would not the subsidiaries of Dubai World formed under applicable Federal law continue to be governed by those laws? 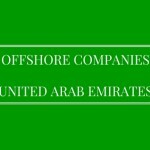 Does the Emirate of Dubai constitutionally have the power to exempt companies within the Emirate from the application of Federal Law? While the Constitution does grant significant autonomy to each Emirate, individual Emirates may not legislate on those matters subject to federal legislative authority. Article 121 of the Constitution specifically reserves to the Federal legislature major matters relating to commercial transactions and company law. The Tribunal is to consist of a panel comprising three to five prominent internationally recognized judges. The announced appointments to date have been impressive indeed including Sir Anthony Evans, Chief Justice of the DIFC Courts, Michael Hwang, SC, Deputy Chief Justice of the DIFC Courts and Sir John Murray Chadwick, also of the DIFC Courts. As noted above, the Tribunal has been given very wide powers to adjudicate on matters brought before it. For example, upon notification from Dubai World, to the Tribunal, to make a proposal for voluntary arrangement, an automatic moratorium (irrespective of the consent of the creditors) will be applicable to its assets until the conclusion of the proceedings or such time as ordered by the Tribunal. Furthermore, the Tribunal is authorised to extend this moratorium to any Dubai World subsidiary upon application and based on certain stipulated thresholds. Moreover if the arrangement negotiations with the creditors are not successful then there is a provision for the winding up of Dubai World unless the Tribunal is of the opinion that declining the winding up is in the interests of the Dubai World and its creditors. Also as noted above the powers of the Tribunal are exclusive within the ambit of the authority granted it under the Code. However while the Dubai Courts are prohibited from hearing or adjudicating upon matters within the Tribunal’s purview, the Federal Courts are of course not. Similarly the Tribunal can not affect the rulings of foreign courts on matters where foreign law has been elected by the parties. There is no question that the Code represents a first rate legal framework for dealing with the issues it is meant to face, drawn to international standards. The constitution of the Tribunal also means that it will be policed by distinguished jurists of international stature. 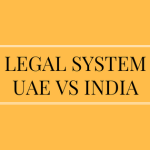 There are various uncertainties surrounding the Code in relation to the jurisdiction of the Tribunal and conflict of Code with the UAE Constitution and UAE Commercial Code. It is of course yet untested. As yet there is no answer to the question whether powers of the courts which are granted by the Federal statutes can be restricted by an individual Emirate’s legislation. There are also questions as to whether and to what extent the new Code can prevail over the Commercial Code (which is Federal in nature) in respect of entities governed by commercial companies law, namely the subsidiaries of Dubai World. There are no certain answers to these questions and it remains to be seen how the Government manages these issues and rises to these challenges in future.